Below is a selection of reviews from our Tripadvisor and The Splash White Water Rafting Facebook pages from the winter of 2017. We love providing adventure activities, we are passionate about adventure (and everything it does for the soul:) and we are passionate about great customer experiences. We believe that our overwhelmingly positive feedback via Google reviews, Tripadvisor reviews and Facebook reviews shows that we deliver value, adventure, safety and a great experiences time and time again. 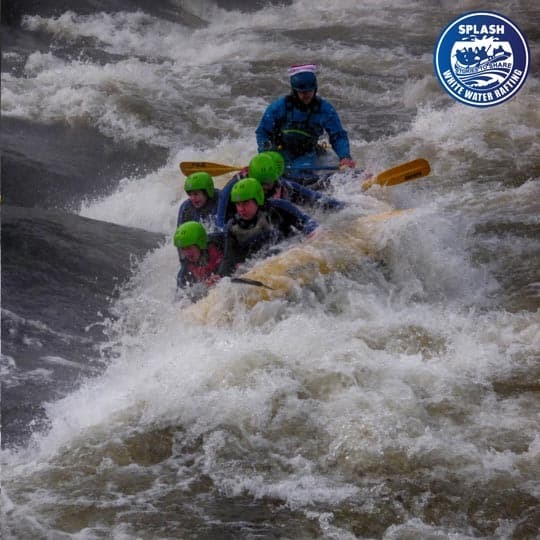 This is why we hope that you decide to chose Splash White Water Rafting as your activity provider for your next adventure. We are open all year round and can provide adventure experiences from a half day adventure to a full weekend with accommodation and travel. We regularly work with charities and the charity sector to raise need funds, we also provide excellent team building events for the corporate world, organise and celebrate Stag and Hen parties with awesomeness and more. Anyway less of my talk, I will let the rafting reviews talk for us. A great time – thank goodness for the wetsuits!! Booked the rafting for 4 of us during when we were up in Kenmore for Christmas. A really enjoyable afternoon rafting down the River Tay. With it being 23 December, the water was a bit chilly, but didn’t stop us going if for a dip a couple of times. The guide (Chris) was great, knew exactly what he was doing and told some great stories on the trip. There were some calm bits of the trip with no white water, but this gave us the chance to look around at the great scenery – then there was the white water, quite a few sections of it, great fun had by all. A big shout out to Avars also, who followed us down the riverside and took some great pictures of our adventure. Another good thing with Splash – the pics are available free, and not sold at extra cost which other operators do. Thanks guys!! Myself and my sister had a great day with the Splash team doing these 2 activities. This was bought was a birthday present and couldnt have been easier to book up. We did River Bugging on the morning and rafting on the afternoon. Both Donas and Chris were really helpful and kitted us out with everything we needed to do these in the middle of December! We had a great weekend rafting, and using duckies and buggies. The guys are very relaxed and fun but very professional at the same time, you will be safe with Splash.We were a group of 8 and there is literally nothing negative we can find to say it was all good. I want to go back to raft the Orchy once the rain arrives. We visited you on the 26th October – me and 3 of my sons to raft down the River Tay. Superb! Went white water rafting on the Tay this morning with the wife and kids (9 and 12). Absolutely fantastic. All the instructors were excellent, safety conscious and very good with the kids. 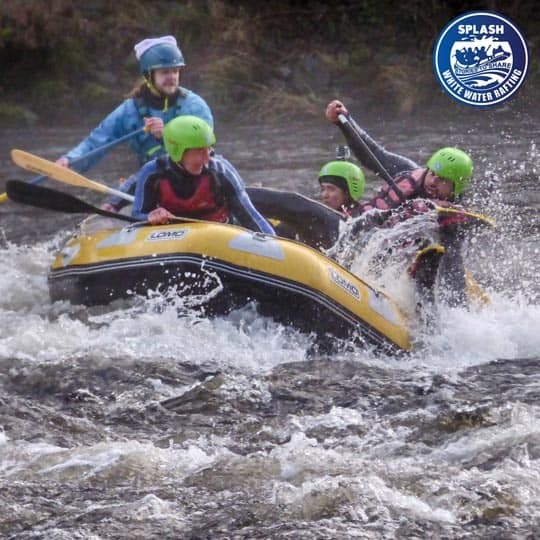 We all loved it – some great Grade II and III rapids which we all enjoyed! Photo’s included is also a bonus! Would definitely recommend! 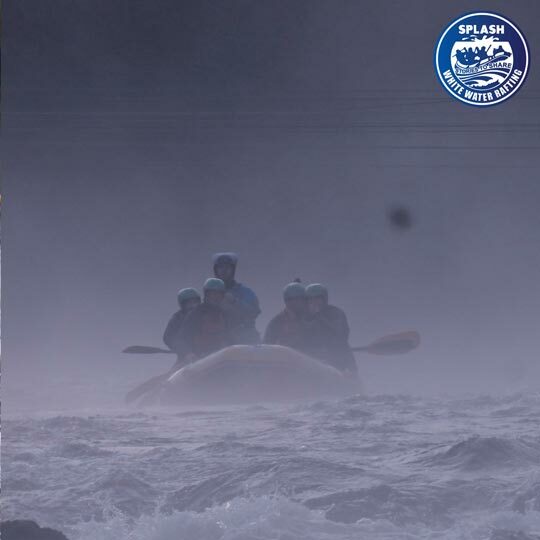 Chris and the Team at Splash were fantastic this weekend when my Mum and I went White Water Rafting down the River Tay for the first time, starting at Aberfeldy. The whole experience was very fun, we were made to feel relaxed and safe and were talked through very carefully how to react in all situations on the water – the experience was exhilarating and all of the staff were so friendly and funny! we wouldn’t hesitate to recommend Splash for all of your outdoor water fun!